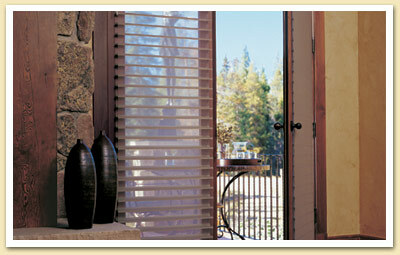 Shadings – Window Designs, Inc.
Hunter Douglas Silhouette® window shadings create a subtle backdrop with timeless appeal. 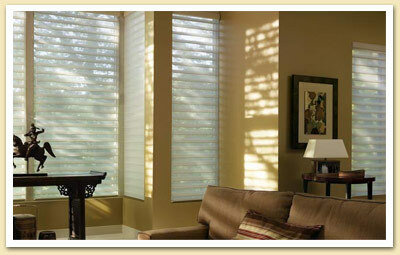 The sheer fabric mutes the intensity of the sun streaming through full-length windows while still offering a soft-focus view of the greenery outdoors. 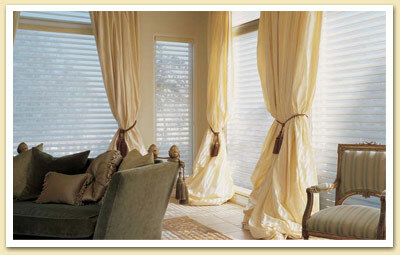 By tilting or closing the adjustable fabric vanes, greater privacy or light control can be achieved. Silhouette is an ideal way to protect high quality textiles such as this rug, wood floors, and other fine furnishings from the damaging effects of the sun. 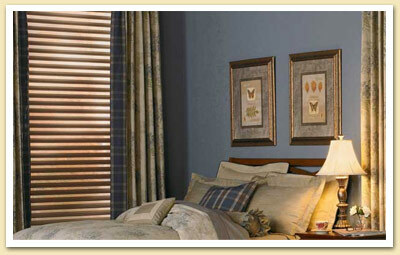 Available in 2”, 3” and 4” vanes, as well as light filtering and room darkening. A variety of control options.